Really quick one today! 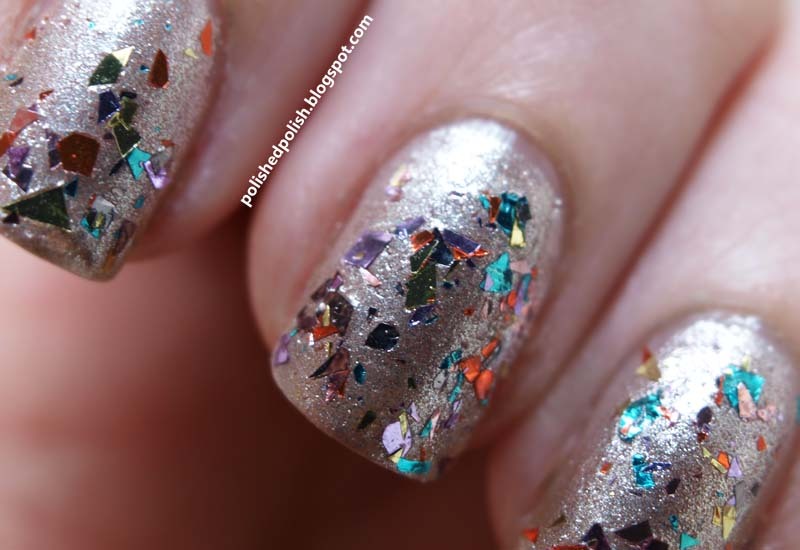 This is 2 coats of Confetti Crush by love & beauty from Forever 21 over 2 coats of Sun Kissed by ULTA. 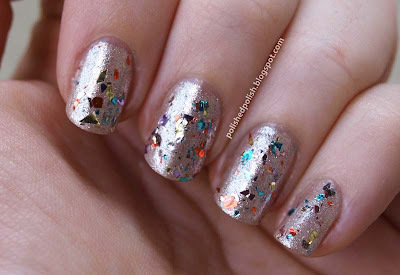 Unfortunately the back of the love & beauty bottle lists the color as crystal/multi, but according to their website they call it Confetti Crush. It's mulit colored asymmetrical flakies and it was great for a day I just didn't feel like doing any real nail art. I've been doing more glitter lately with the Elmer's Glue basecoat technique, but of course I forgot to do it on this one so I'm sure it'll be fun getting it off.